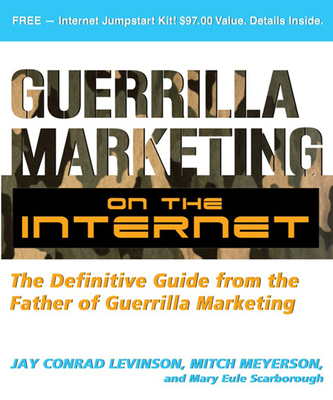 JAY CONRAD LEVINSON is the author of more than 30 Guerrilla Marketing books as well as 24 other business books. His Guerrilla concepts have influenced marketing so much that today his books appear in 37 languages and are required reading in many MBA programs worldwide. MITCH MEYERSON is the founder of Guerrilla Marketing Coaching, author of 7 other books and a leading internet marketing expert. MARY EULE SCARBOROUGH is a former Fortune 500 marketing executive and independent marketing consultant. Meyerson and Scarborough are also the co-authors of Mastering Online Marketing.